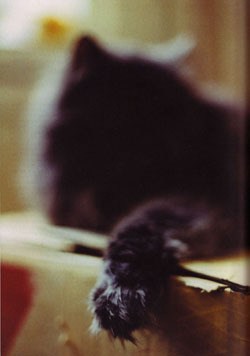 The Cat's Travelogue - Art! I am a Work of Art! Regina Moller is a rather famous modern artist with an exhibition at the Tate Gallery and guess what I am being featured in 'Regina' the artwork magazine thingy that she creates occasionally for art galleries. 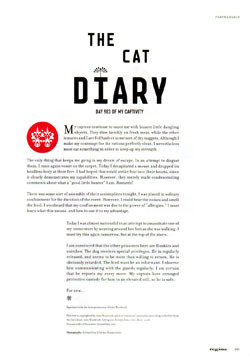 This time the issue is for the Tate gallery in England and it will feature a page from my work of genius Diary - just how cool is your friendly Cat? You can answer that! Which of course all means I am a work of art! Click here to find out more about the artist Regina Moller's work. The exhibition is held at the Tate Gallery St. Ives. And of course you can visit My Store and find out why one of the most respected artists alive today thinks I am wunderbar - well she is German tee hee.